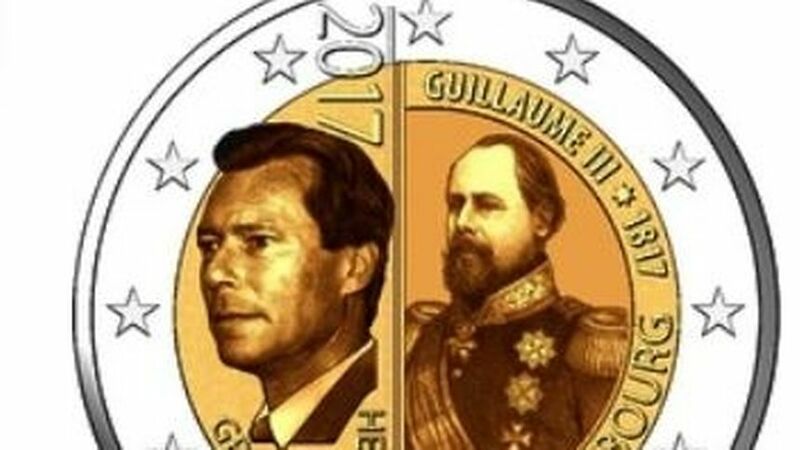 A new commemorative coin for 2017 has been announced, with Grand Duke Henri sharing the space with Grand Duke Wilhelm III (1849-1890). Wilhelm III also reigned as King of the Netherlands during his time as Grand Duke of Luxembourg. Wilhelm's three sons died before him, and his daughter Wilhelmina succeeded him as Queen of the Netherlands. Because women could not inherit in the Grand Duchy at the time, Wilhelm's distant cousin Adolphe (of the house of Nassau-Weilburg) succeeded him as Grand Duke of Luxembourg. The year 2017 marks the 200th anniversary of Grand Duke Wilhelm III's birth, and the commemorative coin will be available for purchase starting in October of 2017. 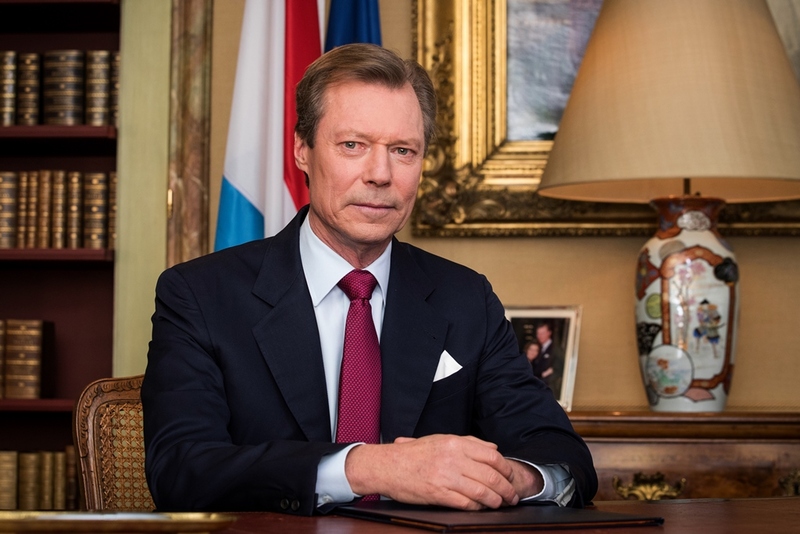 Grand Duke Jean has been hospitalised a few days ago as he is suffering from a bronchitis, the Marechalat de la Cour just announced. The doctors treating the former Grand Duke are very satisfied with the recovery process of His Royal Highness. He, however, will remain in hospital for a few more days for medical surveillance. Here's hoping that Grand Duke Jean will make make a quick recovery and that he will be home soon in time for his 96th birthday on January 5. Our thoughts are with him! Back on December 18th, Prince Max was in Malbun to help cut the ribbon for the opening of the newly renovated Hotel Gorfion. The event was hosted by Stiftung zur Förderung eines lebendigen Malbun (The Foundation for a Living Malbun) and invited attendees to explore the amenities in the four-star family-friendly facility. Founding Chairman Heinz Nipp (far left in the photo above) was also there to welcome visitors and share more about the renovations. Hotel Gorfion had been scheduled for demolition, but was saved after numerous donations made it possible to begin renovating it. Let's play favourites to keep us entertained while everyone and their relatives are on their Christmas breaks. Mind you, yours truly didn't thrown themselves into gowns and tiaras (now that's a post idea!) to have a bit of a competition. However, we scrolled back through some tens of pages of Luxarazzi to see all the gala appearance we saw of the grand ducal and princely ladies this year. Because it would be grossly unfair to all tiara-less events, we decided to make two posts of this: The tiara division and the no-tiara devision - and we'll start with the latter. 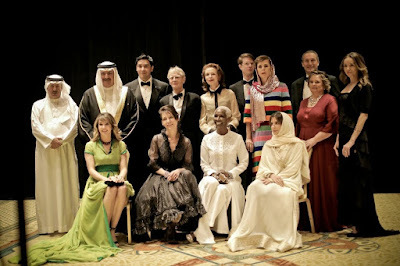 Our contenders (from left to right): Grand Duchess Maria Teresa in a black and gold caftan gown at the Red Cross Gala, Hereditary Princess Sophie in a repeated dress from the wedding of Crown Princess Victoria of Sweden at the Salzburg Festival, Hereditary Grand Duchess Stéphanie in Diane von Furstenberg at the wedding of Princess Alix de Ligne, Hereditary Grand Duchess Stéphanie (as well as an unfortunately placed podium) at the Luxembourg American Business Award in New York City, Princess Claire in what must be her favourite dress as we have seen it about five times by now, as well as Princess Alexandra (unfortunately half cut off) at the wedding of Alix de Ligne. And now it's onto you: Vote for your favourite gala appearance (no-tiara division) of 2016! The poll will close on January 1, 2017.
also head over to Confessions of a Castleholic to do some more! "We live on an island of bliss, if you look around..." - Prince Hans-Adam II has given his traditional Christmas interview to 1 FL TV. The full video is available here. The Fürst basically speaks about the state of the world with everything that goes on politically and religiously. If you know any German, it's always very interesting to hear his views and I can much recommend it! Schöne Feiertage! "Next to the many crisis, there were also positive developments", Grand Duke Henri reminded everyone in his Christmas speech, broadcasted by RTL last night, that with everything that is going on in the world, it's easy to forget all the positive things that are happening. With the next national elections coming up, the Grand Duke asked his fellow countrymen to refrain from political debates hitting beneath the belt going on in other countries. Wort conveniently offers a full translation of the speech, including one bit that everyone should keep in mind: "We are too often caught up in our own lives and forget about the essential parts. With deep emotions, I am thinking about those that are alone during the holidays. I think about the sick and those that feel excluded. Let us use these days to reach out to them. Let us help, where we can help. This will also benefit ourselves. Only through social solidarity can me master the sometimes difficult challenges of our times." Schéi Feierdeeg! And with that and last but very certainly not least: Merry Christmas from Team Luxarazzi to all of you celebrating! Be merry and kind, we hope you are having a great couple of days with your loved ones. Moving along to the third profile of our series on the children of Grand Duchess Charlotte, we'll get to know a little more about the youngest child, Alix, the Dowager Princess of Ligne. Alix Marie Anne Antoinette Charlotte Gabrielle was born on August 24, 1929, at Château de Berg. 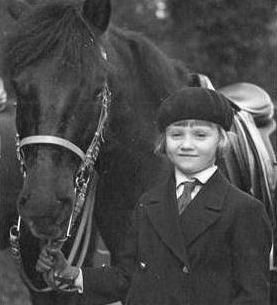 She was the sixth and last child of Grand Duchess Charlotte and Prince Consort Felix. The baby princess was baptised at the Salle des Chevaliers of the castle she was born in. Alix's five siblings are Jean, Elisabeth, Marie-Adelaide, Marie-Gabrielle, and Charles. Like several of her brothers and sisters before her, Alix was the subject of a series of stamps issued in 1931 which raised funds for the Catholic charity Caritas. Alix's early childhood was quiet and largely uneventful, revolving mostly around family life at Château de Berg. She was initially taught at home, while her eldest siblings attended school in Brussels. She celebrated her First Holy Communion in 1938, along with her brother Charles. Alix was just shy of her eleventh birthday when her family's life was dramatically disrupted by the Second World War. 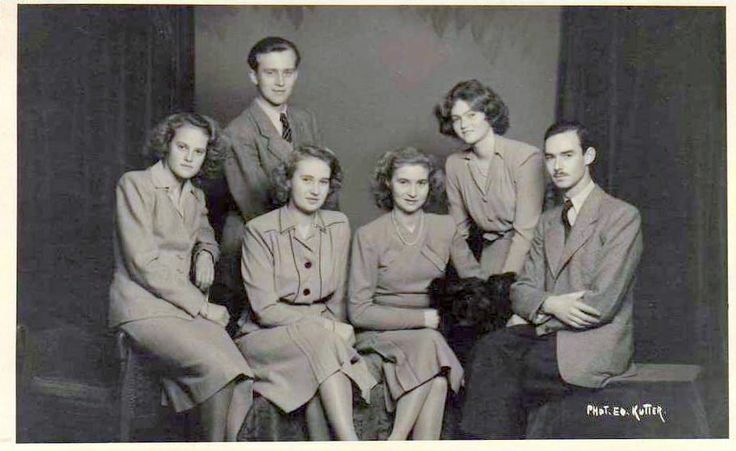 Alix, along with her siblings Jean and Marie-Gabrielle, their parents, and the Dowager Grand Duchess fled Luxembourg on May 10, 1940, following the German invasion. The family had just a few hours' notice to pack and prepare before fleeing the country. While riding together in one car, the three siblings were barely able to avoid incoming bands of German soldiers on multiple occasions, but were luckily never captured or harmed. The family joined Marie-Adelaide, Elisabeth, and Charles in Belgium, where they were attending school and staying with the prince consort's sister Zita. The entire Grand Ducal Family, along with Zita and her children, were able to flee Belgium through France, Spain, and finally to Portugal. However, it was feared that staying in Portugal did not provide enough distance between the Grand Ducal Family and the conflict. Felix and his children bade Grand Duchess Charlotte a tearful good-bye in Lisbon. Alix and the rest of the family made their way to the United States via the USS Trenton, an American cruiser sent by President Franklin Roosevelt. They stayed in Long Island, New York, for several weeks while searching for a new home; the United States government was willing to give only temporary asylum to the family so as not to violate their then-neutral status in the war. In the fall of 1940, Alix and her family moved to the Canadian province of Quebec, settling first in Montreal. 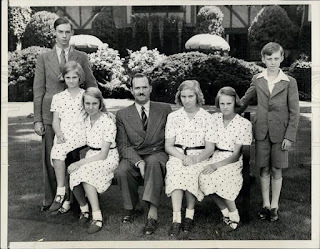 The Canadian government had granted long-term asylum to the family and the dominance of the French language in Quebec provided the grand ducal children with continued education in one of their mother tongues. Alix and her sisters joined their aunt Zita and her family further north in Quebec City, attending the College of Jesus-Marie de Sillery, a Catholic girls' school associated with Laval University. Alix and her family later moved to the United Kingdom, where the Grand Duchess had settled. During the remainder of the war years, Alix appeared occasionally at private and official events honoring the family and the Grand Duchy. She was present at a mass for her grandmother, Grand Duchess Maria Ana, who died in New York in July 1942. She also accompanied her siblings Marie-Gabrielle and Charles in 1944 at a 700th anniversary celebration of Luxembourg's Freedom Charter held in New York. Alix was the only one of her siblings (aside from Grand Duke Jean, who had participated in the liberation of the Grand Duchy) not to drive a truck or ambulance on her return to Luxembourg. The British Red Cross had donated a large amount of food and supplies to the Grand Duchy to be carried via convoy by the family. While the rest of her siblings insisted on driving the vehicles as a part of the convoy, Alix was still too young. Instead, Alix returned to the country with her parents and brother Jean on April 14, 1945. The family flew into Luxembourg City on General Dwight D. Eisenhower's private plane. Despite being the youngest child in the family, Alix was the first to marry. In 1949, Alix met Antoine, the 13th Prince of Ligne, at the wedding of his sister Yolande to Alix's cousin, Archduke Carl Ludwig of Austria. An engagement between the couple was announced from the Château de Beloeil (the home base of the Ligne family) on April 18, 1950. Born in 1925, Antoine was the youngest child and second son of Eugene, 11th Prince of Ligne (then the Belgian ambassador to India) and his wife Philippine, who were known for hiding many Belgian Jewish children in Beloeil Castle during World War II. The Lignes are one of the oldest and most prominent Belgian noble families. Antoine, who had served in the British and Belgian Royal Air Forces during the war, received multiple decorations for leadership and bravery. 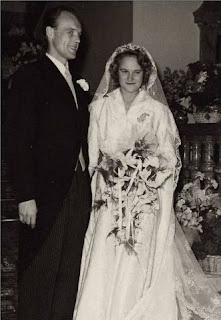 The couple was married in Luxembourg City on August 17, 1950, a week before Alix's 21st birthday. 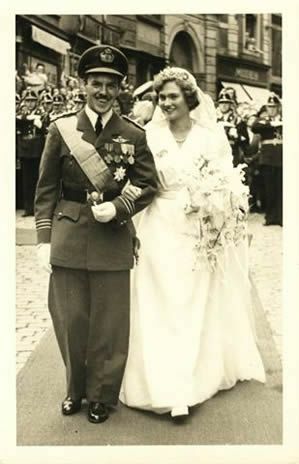 There was a great interest in Alix's wedding within the Grand Duchy, as it was the first major event to be held there since the end of the war. The civil ceremony was conducted first at the palais grand-ducal by the Emile Hamilus, Mayor of Luxembourg City. Alix and Antoine were married religiously by Monsignor Leo Lommel at the Notre Dame Cathedral later the same day. Thousands of spectators crowded to streets hoping to catch a glimpse of the couple as they walked the streets following the religious wedding. The couple settled at the groom's home in Belgium. Antoine was still serving in the Belgian Air Force at that time, which he continued to do until retiring in 1955. In the meantime, the couple was also busy raising their growing family. Alix and Antoine became parents to seven children, all of whom were born at Beloeil with the exception of Antoine, who was born at Château de Berg. In 1957, Antoine began a 17-month scientific expedition in Antarctica as part of a project launched by the International Council of Scientific Unions during the larger International Geophysical Year. Antoine was a photographer, pilot, and member of the meteorological team in the Belgian group. While the expedition was a success with the creation of the King Baudouin Base, the group was marooned after the plane was damaged by ice during an away mission. Although the group did not experience serious injury, they did have to attempt to reach the base again on foot amidst the dangerous Antarctic weather. Fortunately the Belgian team was rescued by Russian scientists, and Antoine returned to his family in 1959. Antoine succeeded his childless older brother Baudouin as Prince de Ligne in 1985, the same year Alix's mother Charlotte died. Alix spent her time as Princess de Ligne organizing various charitable events, particularly those benefitting ill or disadvantaged children. She also explored her longtime interest in floriculture by hosting various flower and plant exhibitions at Beloeil Castle and elsewhere in Belgium. Alix also spent a large part of this time celebrating the weddings of her children and subsequent births of twenty grandchildren. She enjoyed traveling as well, with and without Antoine, to Luxembourg, South America, and to the family's vacation home in Mallorca. The 2000s were unfortunately difficult years for Alix. Antoine died suddenly of a heart attack at Beloeil on August 21, 2005, after experiencing chest pains the day before. This came as a surprise to Alix and her family as he had been fully active in the days preceding his death. Alix was unfortunately in Bavaria at the time and was unable to make it to her husband's side before his death. Alix's sister Marie-Adelaide died two years later in 2007, followed by Alix's grandson Pedro of Orleans-Braganca's tragic death in the 2009 crash of Air France Flight 447. Alix's public appearances are now infrequent due to her age, but she does still attend some family events. 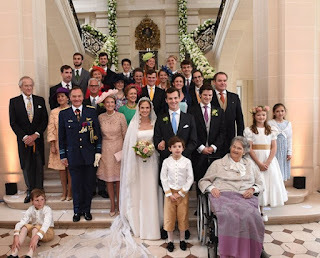 She was seen at the memorial service for her sister Elisabeth in 2011, the wedding of Hereditary Grand Duke Guillaume and Stephanie de Lannoy, as well as the funeral of Stephanie's mother (also named Alix), both in 2012. She was also present at the wedding of her granddaughter, Alix de Ligne, to Guillaume of Dampierre in June 2016. Alix still lives at Beloeil Castle. She has nineteen surviving grandchildren and nine great-grandchildren. Yesterday, the International Peace Light arrived in Liechtenstein and the country's scouts brought it to the people, among them the Princely Family. A group of scouts was welcomed at the chapel of Schloss Vaduz by Prince Hans-Adam II and Princess Marie. Now in its 30th year, the Peace Light from Bethlehem campaign was originally organised by the Austrian Broadcasting Company (ORF) and was part of a large charitable relief mission for children in need in Austria and abroad called Light into Darkness. Since then it has greatly expanded and the light is now travelling from Bethlehem, where it is lit by an Austrian child in the Natavity Grotto, to more than 30 countries each year. The full gallery of visuals is available at Vaterland. 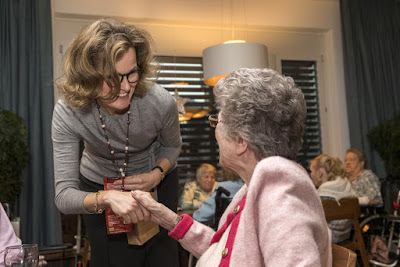 Hereditary Princess Sophie rounded off her series of pre-Christmas visits to retirements homes and Liechtenstein's hospital over the past couple of days with a visit to the St. Theodul home for the elderly in Triesenberg. Vaterland kindly completed their gallery of pictures of all the visits, check it out. The visits with tea, coffee and little present are an annual tradition in the Principality since the days of Princess Gina. Bestürzt von den tragischen Geschehnissen auf dem Berliner Weihnachtsmarkt möchten die Groβherzogin und ich Ihnen im Namen der luxemburgischen Bevölkerung unsere tiefe Betroffenheit und unser Mitgefühl ausdrücken. Unsere Gedanken gelten den Opfern und den vielen Verletzten mit ihren Angehörigen. In dieser Stunde der Trauer eint uns unsere Solidarität für den Erhalt unserer gemeinsamen Werte. Shocked by the tragic events at the Berlin Christmas market, the Grand Duchess and I would like to express our dismay and sympathy on behalf of the Luxembourgish people. Our thoughts are with the victims and the many injured and their families. In this hour of grief the solidarity for the preservation of our mutual values unites us. 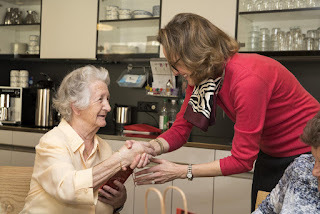 On Friday, the inhabitants of the St. Martin home for the elderly in Eschen were happy to welcome Hereditary Princess Sophie for an advent tea. Afterwards the Hereditary Princess Sophie made her way to Schaan where she visited the St. Laurentius retirement home. Both visits were part of a pre-Christmas tradition of the ladies of the Princely Family established by Princess Gina, which leads them to all hospitals and retirement homes in Liechtenstein to wish everyone a merry Christmas time. 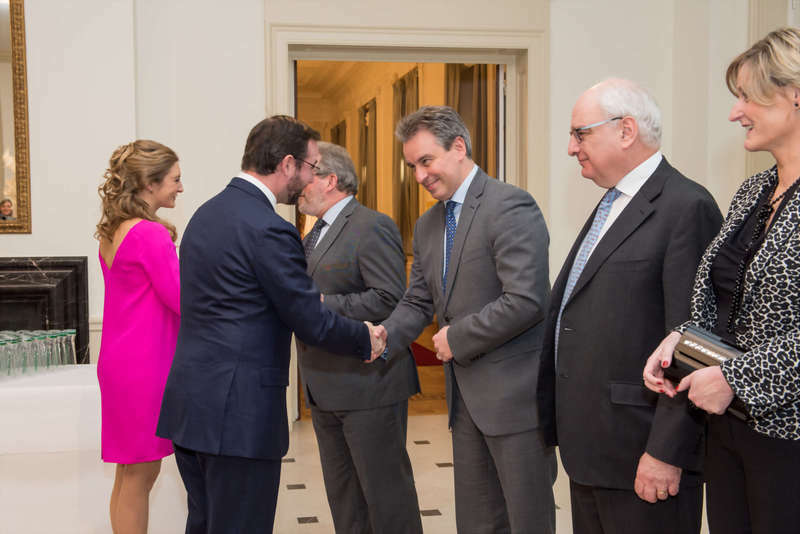 Earlier this evening, Hereditary Grand Duke Guillaume and Hereditary Grand Duchess Stéphanie attended an award ceremony for the De Mains de Maître exhibition earlier this month. Other guests at the event were the craftsmen and -women and artists who shared their creations at the exhibition as well as State Secretary for the Economy Francine Closener, State Secretary for Culture Guy Arendt, the President of the Chambre des Métiers Roland Kuhn. The prize of the jury, awarded by the Hereditary Grand Duchess, went to Ellen van der Woude, while Damiano Tussillagine won the prize of public vote. RTL has both more pictures and information. Grand Duchess Maria Teresa has been quite the busy lady in the past couple of days. Yesterday, Madame la Grand-Duchesse also attended a conference entitled "L’Economie sociale et solidaire : Quelles place pour les femme?" (Social and solidarity economy - what role for women?) at the Abbaye de Neumünster. 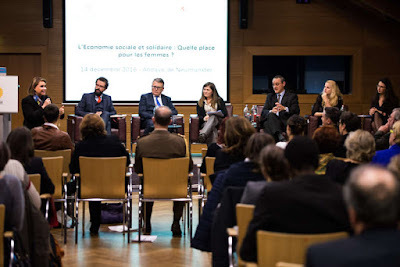 She was joined by the Minister for Labor, Nicolas Schmit, for the event devoted to the presentation of a European study carried out by the "European Women's Lobby" on women's social entrepreneurship in Luxembourg and also addressed themes such as the obstacles encountered by women in setting up businesses and the role that the social and solidarity economy can play in removing these obstacles. The cour has a number of additional pictures. 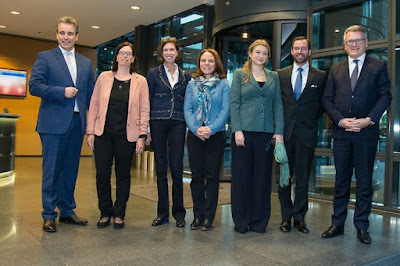 On the 14th, Grand Duchess Maria Teresa attended a conference that focused on the conditions in East Aleppo and the current efforts to relieve the besieged city. Present at the event were East Aleppo Mayor Brita Hagi Hassan, along with experienced frontline worker Dr. Raphaël Pitti. The conference was jointly organized by Amnesty International, Médecins Sans Frontières, and the Syrian Cultural Center. Among the topics for discussion was the attempted evacuation of civilians from the city, under a truce established by mediation between Turkey and the Russian government. The Grand Duchess also tweeted about the event and its goal of helping the civilians still remaining in East Aleppo. Let's cry out before it is too late to save the 50.000 people remaining in #Aleppo. 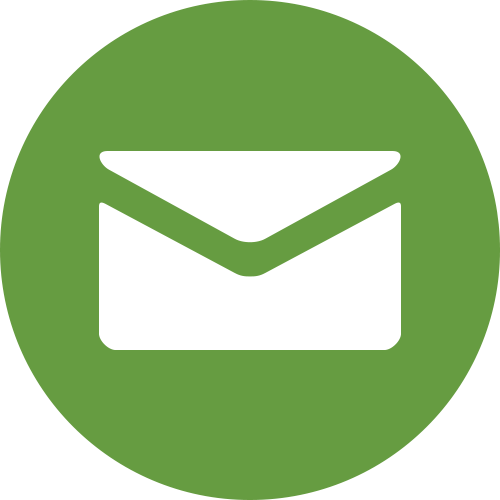 Take action now. Maria Teresa. 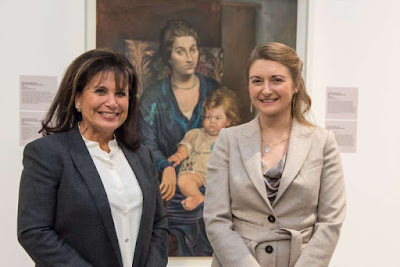 Hereditary Grand Duchess Stéphanie paid a visit to the exhibition "21, rue de La Boétie" in Liège, Belgium, today. She was accompanied by the State Secretary for Culture Guy Arendt and met Anne Sinclair, author of the book the exhibition is based on. The book tells the story of Sinclair's grandfather, Paul Rosenberg (1881-1959), one of the great art dealers of the first half of the last century. The exhibition portrays the career of Rosenberg, a successful businessman and knowledgeable art lover, friend and agent of Picasso, Matisse, Braque, Léger, Marie Laurencin, and more well-known artists, and serves as the guiding theme through a much wider history than his own, one in which he was both actor and victim. The exhibition shows art and civilisation, with the gallery of Paul Rosenberg serving as the pivot to 20th century period paintings that combines the history of art, social and political history and the history of mentalities as these unfolded in France, Europe and the United States. For more information on the exhibition, have a look here. On the 14th, Hereditary Prince Alois received five ambassadors for the presentation of credentials. 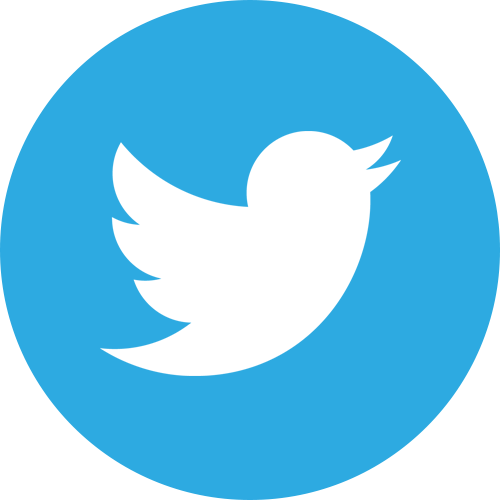 The ambassadors include Lahcen Azoulay, of the Kingdom of Morocco; Högni S. Kristjánsson, of Iceland; Jakub Kumoch, of the Republic of Poland; İlhan Saygılı, of the Republic of Turkey (shown above, from the Ambassador's Twitter account); and Lynette Margaret Wood, of Australia. It's time for the Grand Ducal Family's annual pre-Christmas reception for members of Luxembourg's army and police force who took part in humanitarian and peacekeeping missions abroad. 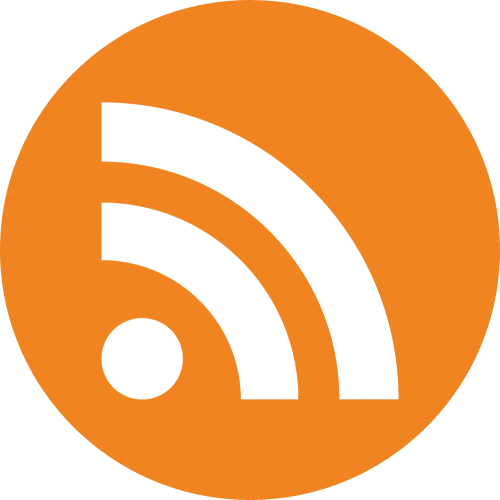 For example, the Luxembourgish forces are involved in NATO's Kosovo Force (KFOR) and the International Security Assistance Force (ISAF) for Afghanistan. The reception, which has been held each year since 2002, traditionally takes place at the Château de Berg, the Grand Duke's official private residence. The event was once again held at Château de Berg (despite mentions of Château de Fischbach elsewhere). Policemen and soldiers who have taken part in either of the two above mentioned missions in Kosovo and Afghanistan or others as well as their wives, girlfriends, children, parents and basically everyone they want to bring along are invited to attend. 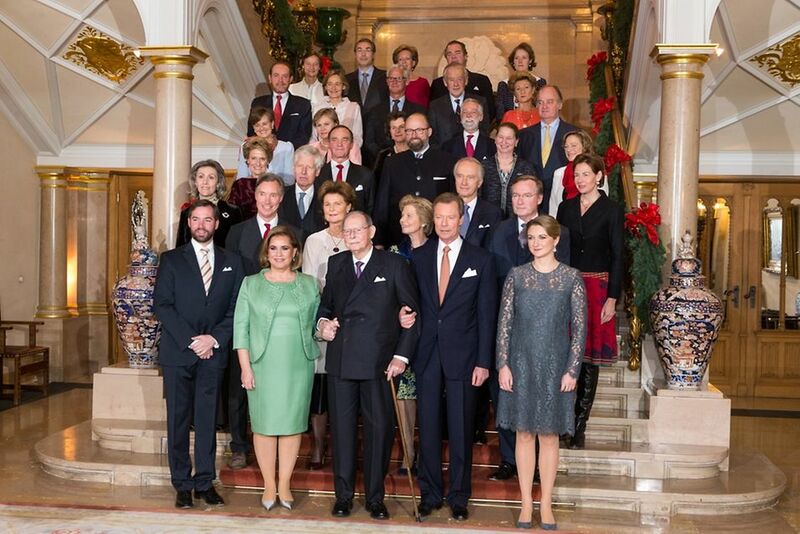 During the reception they all got the chance to to greet, chat and mingle with Grand Duke Henri and Grand Duchess Maria Teresa as well as Hereditary Grand Duke Guillaume and Hereditary Grand Duchess Stéphanie. Also present for the event were Minister Etienne Schneider and state secretary Francine Closener. There are a few additional photos at Wort. Hereditary Princess Sophie started the traditional advent time's visits to the Principality's hospital and retirement homes. Yesterday, she visited the Landesspital hospital in Vaduz as well as the St. Florin home for the elderly. In the coming days, her visits will also lead her to all other retirement homes in Liechtenstein. During her visits the Hereditary Princess spends time with the patients and residents and presents them with little gifts. On the 12th, Hereditary Grand Duke Guillaume and Hereditary Grand Duchess Stéphanie were in Brussels to witness the signing of a Benelux directive that encourages the ongoing cooperative economic relationship among the three Benelux countries. The directive will be in application until 2020 and is intended to further a circular economy that enables the efficient re-circulation and re-use of goods and services. Goods include such items as mobile phones and coffee machines, which might otherwise be discarded with negative effect to the environmental, while the re-circulation of services will include the cooperative efforts of waste management programs. 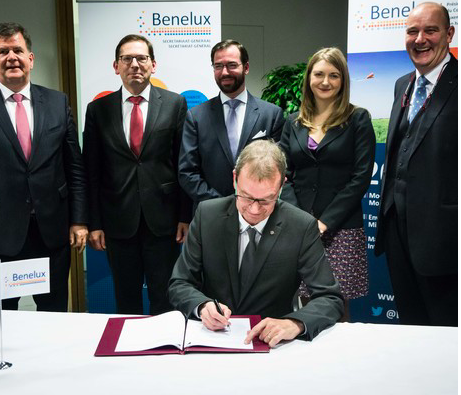 Camille Gira, Luxembourg's Secretary of State for Sustainable Development, also attended the signing. More information, an several more photos, at Benelux.int. 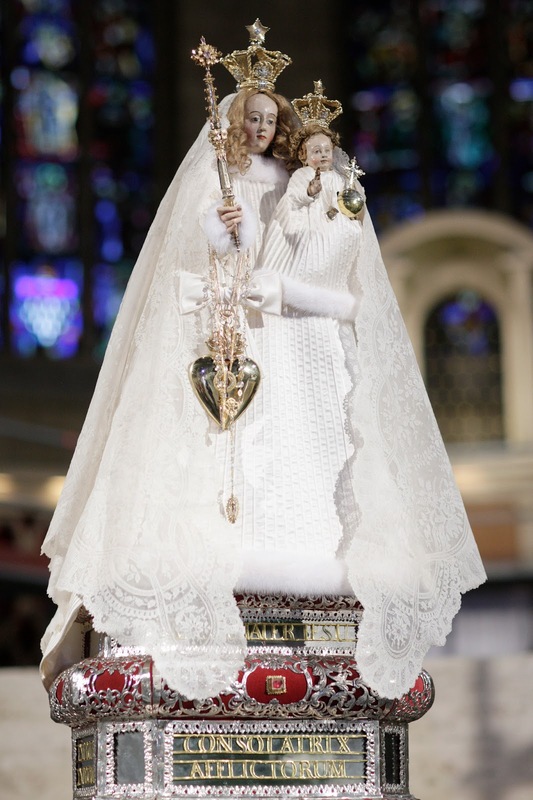 At the time of the wedding of Hereditary Grand Duke Guillaume and Hereditary Grand Duchess Stéphanie, Grand Duchess Maria Teresa gave a number of symbolic gifts to "Our Lady of Luxembourg", the statue of the Virgin Mary venerated at Cathédrale Notre-Dame in Luxembourg city and probably familiar to you from the annual Octave celebrations. The Grand Duchess' gifts to the treasury of "Our Lady of Luxembourg" were by no means the first ones by members of the Grand Ducal Family. The cult of "Our Lady of Luxembourg, Comforter of the Afflicted", was initiated by the Jesuits in 1624. In 1666, "Our Lady" was elected as the protectress of the city in 1666 and of the Duchy of Luxembourg in 1678. Originally staunchly Lutheran, the Grand Ducal Family became Catholic with the death of Grand Duke Wilhelm IV. He had married Infanta Maria Ana of Portugal, a Catholic Bragança princess. It was agreed that the couple's sons would be raised in their father's faith, while girls would become Catholics like their mother. 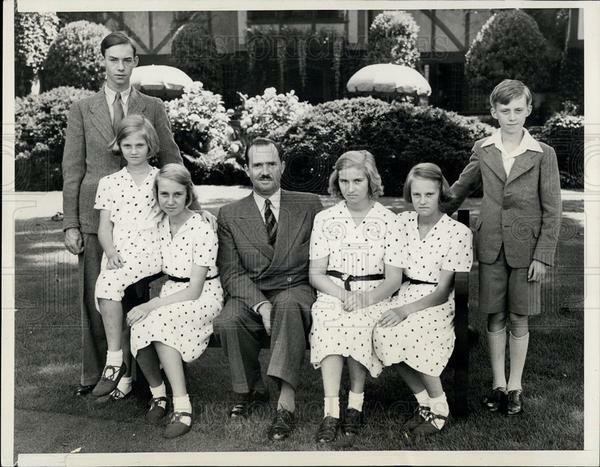 As the couple had six daughters but no sons, the Grand Ducal Family thus became Catholic (like the majority of the population of the Grand Duchy then and now). Over the past more than three hundred years there have been numerous donations to "Our Lady" by all kinds of Luxembourgers. There have been donations in kind, jewellery, ex voto, clothing, etc. Many of them are very valuable objects, some of them artistically or historically but also emotionally or personally important to the people who donated them. However, these days there are less objects donated to "Our Lady of Consolation" based on the occasion of the 300th anniversary of the Consolatrix becoming the patron of the city of Luxembourg in 1978. Then Archbishop Jean Hengen, inspired by Canon Jean Heinisch, asked believers to donate money to charitable organisations instead of jewellery for the statue. 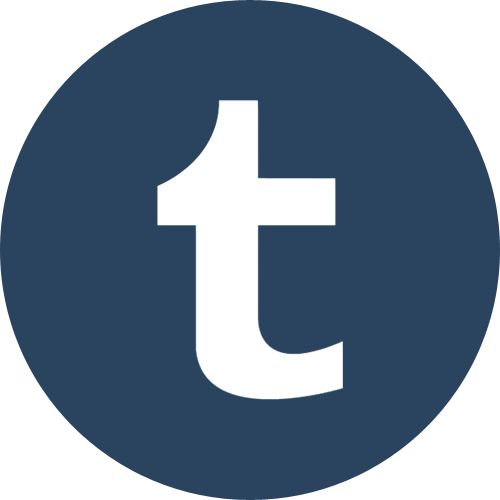 From this idea a foundation for people with disabilities grew: Tricentenaire. Already some of the earliest Catholic members of the Grand Ducal Family made donations to the statue of the Consolatrix. The treasury includes a golden cross with enamel inlays of pictures of Jesus Christ as well as three of the evangelists. The fifth inlay is a semi-precious stone. On its back, the cross is inscript with the names of Marie-Adélaïde, Charlotte and Hilda, three of the daughters of Grand Duke Wilhelm IV and Grand Duchess Maria Ana, as well as the date June 8, 1908. Other jewellery gifted to "Our Lady" include a medallion with a wedding picture of Grand Duke Henri and Grand Duchess Maria Teresa as well as a picture of their five children; a rosary made of rock crystal that once belonged to Grand Duchess Maria Teresa's grandmother Maria Narcisa Alvarez Tabio; as well as a rosary, inscribed with "New York, January 23, 1945" (her birthday) belonging to Grand Duchess Charlotte, which accompanied her in exile and she gifted to the Consolatrix after her return to Luxembourg. The dress made for the statue of Mother Mary and the Baby Jesus from the train of Grand Duchess Maria Teresa's Balmain wedding dress as well as a veil belonging to the late Countess Alix de Lannoy, the mother of Hereditary Grand Duchess Stéphanie, may be the most famous piece of clothing donated to "Our Lady of Luxembourg" but they certainly weren't the first ones - and not even the first wedding dress! Princess Antonia, one of the younger sisters of Grand Duchess Charlotte, gifted the Consolatrix with a turquoise blue coat with golden embroidery made out of the ceremonial gown of her husband, Crown Prince Rupprecht of Bavaria, as well as a white satin dress, hat and ribbon with silver embroidery for the infant Jesus. After her marriage to Count Knut of Holstein-Ledreborg in 1951, Princess Marie-Gabrielle, daughter of Grand Duchess Charlotte and Prince Felix, had parts of her wedding dress remade into a clothing for the statue of "Our Lady of Consolation" as well as the baby Jesus. The coat, dress, hat and ribbon made from her wedding dress are adorned with silver flowers as well as the coats of arms of the Houses of Holstein-Ledreborg and Luxembourg-Nassau. 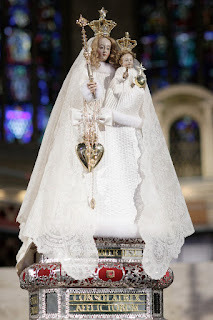 In addition to these, there may be even more gifts to the statue of "Our Lady of Luxembourg, Comforter of the Afflicted" by the Grand Ducal Family. A short while ago, the Cathédrale Notre-Dame started an inventory of all art objects of the church including the treasury of the Consolatrix. 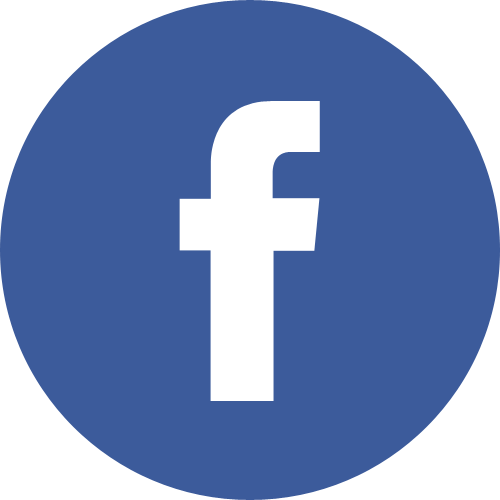 A big thank you in this regard to the cathedral's church council for sharing much of the available information with us already! On December 7th, Grand Duchess Maria Teresa paid a visit to the youngest victims of the flooding that occurred earlier this year. She sat with the children and asked questions about what they had received from St. Nicholas, on the previous day. The flooding caused extensive problems in low-lying areas and damaged a number of cellars and garages. Roads were also closed, causing problems for first-responders, and at one point the trains were forced to stop on the line that runs between Luxembourg and northeastern France. A state of emergency was declared on July 22nd, and the flooding cost insurers between €5 million and €10 million. 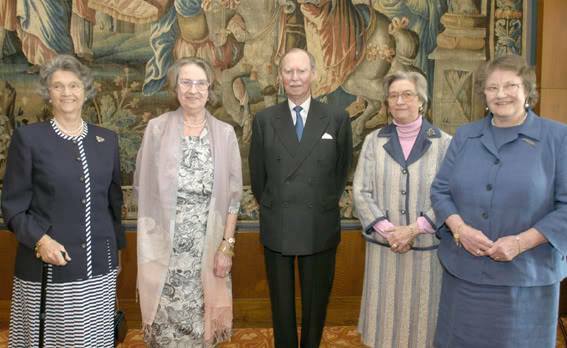 Countess Silvia of Holstein-Ledreborg, Countess Lydia of Holstein-Ledreborg, Princess Anne of Ligne, Baron Jean-Louis de Potesta, Henrik de Jonquières. John Munro of Foulis, Countess Tatiana of Holstein-Ledreborg, Prince Wauthier of Ligne, Chevalier Charles de Fabribeckers de Cortils de Grâce, Princess Sophie de Ligne. As you may notice by the diverse names, all the children of Grand Duke Jean as well as children of his brother and almost all of his sisters were present for the occasion - what a nice surprise! Can we make this happen more often? Maybe through in some more grandchildren into the mix? The occasion for the large family gathering was the closing of the celebrations of the 125th anniversary of the Luxembourg-Nassau dynasty. The former Duke Adolph of Nassau became Grand Duke of Luxembourg in November of 1890 upon death of King-Grand Duke Willem III. He arrived in Luxembourg on December 8, 126 years ago today, together with his wife and heir to take his oath on the constitution. Grand Duke Adolph had inherited the Luxembourgish throne based on the Nassau family pact. Already in 1783, the two lines of the House of Nassau - the other one once ruled Luxembourg and still rules the Netherlands - had formed the Nassauischer Erbverein, which covered the areas of inheritance and succession. It stated that if one line of the House of Nassau became extinct in male line, the other one succeed. It was also agreed that the pact would be applied to those territories owned or acquired in the then Holy Roman Empire. Even though Luxembourg had been acquired after the pact was formed and even after the Holy Roman Empire came to its end, it was still part of the German Confederation which was considered as the Empire's successor. 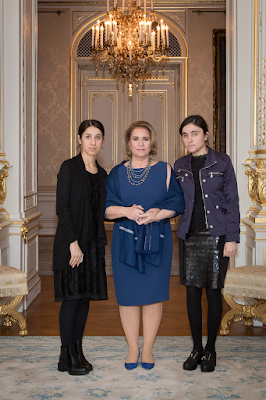 On December 5th, members of the Grand Ducal family attended a remembrance concert in honor of Grand Duchess Joséphine-Charlotte, performed by the Vienna Philharmonic Orchestra (in Luxembourg). Grand Duke Henri, Hereditary Grand Duke Guillaume, Hereditary Grand Duchess Stéphanie, Grand Duke Jean, Princess Marie-Astrid, and Prince Guillaume were all in attendance at the event. The concert, which included Beethoven's Concerto No. 5, was directed by Tugan Sokhiev, and Rudolf Buchbinder performed on the piano. Princess Margaretha attended and spoke at the 18th Annual European Prayer Breakfast event, which is running from December 6th through December 8th of this year. The breakfast itself occurred on the morning of the 7th, with a welcome dinner on the evening of the 6th and a visit to the Christmas market at Schloss Merode on the 8th. This isn't the first time someone from the Princely family has spoken at the event, as Prince Nikolaus was a speaker back in 1999. 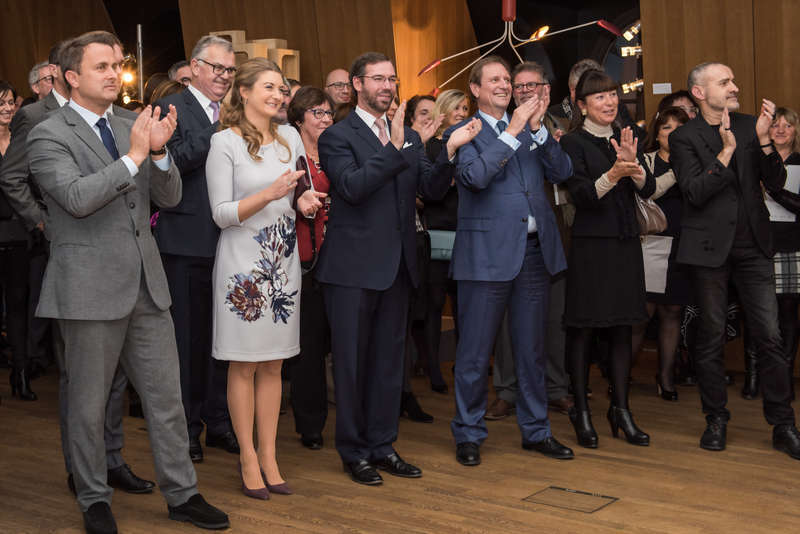 In the past few days, Hereditary Grand Duke Guillaume and Hereditary Grand Duchess Stéphanie made another few visits to the "De Mains de Maître" exhibition about Luxembourgish craftsmenship they initiated at 19 Liberté. On Monday, they visited the exhibition together with students from all over Luxembourg. RTL has pictures and a video of that. Pictures on Facebook also show, that the couple must have made another visit in the last couple of days. Judging by the Hereditary Grand Duchess' hair, it might have been prior to the official opening. 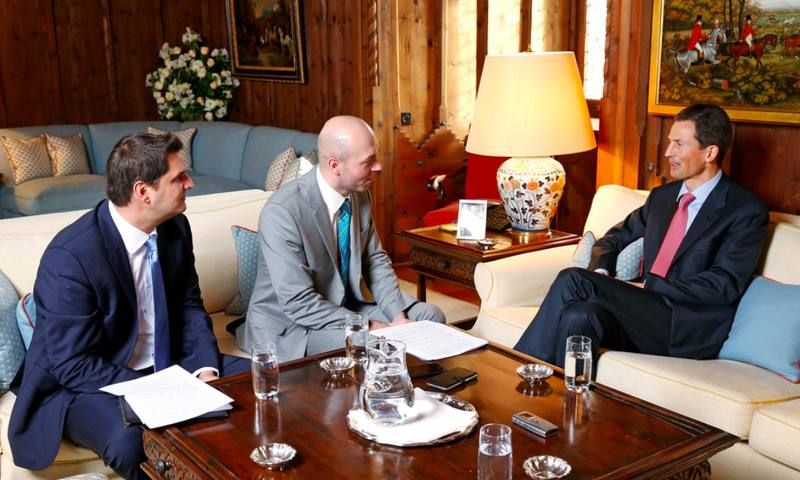 Hereditary Prince Alois sat down with Oliver Meier and Jon Mettler, for Berner Zeitung, to discuss the Princely family's art collection, in addition to Liechtenstein's image abroad. The Hereditary Prince mentioned that the family's art collection functions as a kind of ambassador for Liechtenstein, particularly through the exhibition of the collection, as this brings tourism to the country or increases interest in Liechtenstein during exhibitions abroad. He acknowledged that his own tastes vary widely, from the Old Masters that are currently in the collection to more modern pieces of art that inspire his interest. He shared the story about the art collection's somewhat dramatic history during World War II. The collection was evacuated from Nazi territory, sometimes through intense negotiation and sometimes through pure trickery to sneak many of the more significant pieces of art across borders. Hereditary Prince Alois also highlighted the country's recent efforts for increased transparency and noted that evolving times require an evolving attitude toward the exchange of information. A little more from Berner Zeitung. Earlier this week, Princess Tessy (wearing another colourful dress by Marcin Lobacz) was in Dubai together with a truckload of fellow royals for the Royal Bridge's exhibition "Convergence". The inaugural exhibition of the forum brought a group of internationally recognised artists with roots in imperial, royal, princely and noble families from around the world to celebrate contemporary art through creations that include paintings, sculptures, jewellery designs and performances. Royal Bridges is a global artistic movement founded by Sheikh Rashid bin Khalifa al Khalifa of the Bahraini royal family along with Baron Henri Estramant. The forum wishes to challenge the traditional role of royalty as just patrons of the arts by presenting them also as artists. For a list of all artists exhibiting in Dubai, have a look at the website of Royal Bridges. The funds raised by the exhibition go to the UN World Food Programme in Dubai. 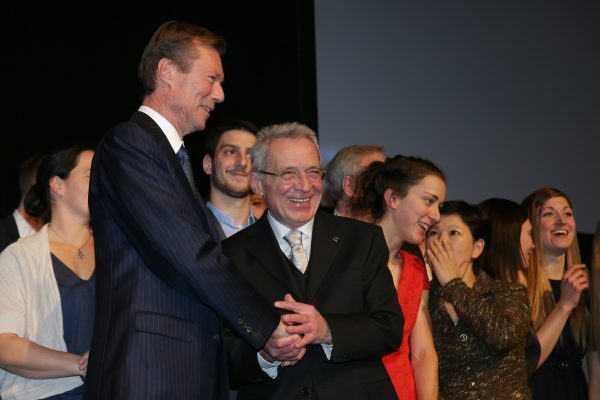 On the evening of the 1st, Grand Duke Henri attended the Sportspress.lu Awards, which honors athletes in Luxembourg. The event was held in Kirchberg at d'Coque (Centre National Sportif et Culturel), with 850 others in attendance. The Team of the Year, Sportswoman of the Year, and Sportsman of the Year were also named. Team of the Year went to the ladies table tennis team, while cyclist Christine Majerus was awarded Sportswoman of the Year and tennis player Gilles Muller was recognized as Sportsman of the Year. Some more photos at Tageblatt and many, many photos at RTL. Wednesday night saw a honorary soirée for the craftsmen and -women showing their work and skills as part of the exhibition De Mains de Maîtres, l’Art des Métiers et les Métiers de l’Art au Luxembourg, coeur de l'Europe initiated by Hereditary Grand Duke Guillaume and Hereditary Grand Duchess Stéphanie. The event at 19 Liberté, the former ARBED building, was also attended by Prime Minister Xavier Bettel. The exhibition "Of Master Hand" highlights some 60 young craftsmen and art designers from the Grand Duchy. Its aim is to note the country's young talented creatives and to highlight the beauty and importance of the transfer of know-how to younger generations. The idea behind the the exhibition comes from no other than the Hereditary Grand Duke and Hereditary Grand Duchess themselves who launched the initiative together with the Chamber of Trade and the Ministries of Economy and Culture. The grand ducal duo spoke about the idea behind it at length in an interview with RTL. The exhibition was opened yesterday - Thursday that is - in a seperate event also attended by Their Royal Highnesses. The opening event on Thursday was attended by Mars di Bartolomeo, President of the Chamber of Deputies, the Minister of Education, Children and Youth Claude Meisch, as well as Secretaries Guy Arendt and Francine Closener. While the Hereditary Grand Duke gave the speech during Wednesday's soirée, it was Hereditary Grand Duchess Stéphanie's turn during last night's event. The cour has more pictures of both Wednesday and Thursday. RTL gives a few glimpses into the exhibition. 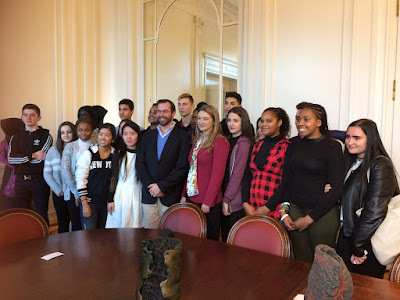 On the 29th, Hereditary Grand Duke Guillaume and Hereditary Grand Duchess Stéphanie attended a conference to support Info-Handicap. The focus of the event was to provide information about offering workplace support for employees with disabilities. Also in attendance were the Minister of Family Affairs Corinne Cahen, the Minister of Education Claude Meisch, the Minister of Equal Opportunities of Lydia Mutsch, and the Minister of Labor Nicolas Schmit. Info-Handicap is asking attendees to consider ways to support those with disabilities in the workplace in advance of the International Day of Persons with Disabilities, on December 3rd. 2016 also marks the 10-year anniversary of the UN Convention on the Rights of Persons with Disabilities (CRPD). A little more from Wort and the Cour website.